Photo by Greg Chow via Creative Commons. On the eleventh anniversary of 9/11, twin spotlights once again shot into the night sky above Manhattan to offer a tribute to the men and women we lost during the 2001 attacks. It was a clear and cool night, almost calm and with a hint of a southerly breeze. In another long-repeated annual event, thousands of birds passed over New York City on their way to winter homes in the southern U.S. and Central and South America. Cornell Lab scientist Andrew Farnsworth was on hand to count them. Farnsworth spent the early evening until about 10:00 p.m. atop the Empire State Building and then watched from the Tribute in Light itself until 12:30 a.m. (accompanied by other birders and a Wall Street Journal reporter). In all he saw at least 2,000 birds and heard the faint chip notes of many more. He identified 28 species passing overhead and at times flying through the beams of light, where the rush of bodies looked like flurries of snow, he said. Watching carefully with binoculars, he was able to identify a bewildering diversity of the tiny, 5-inch songbirds as they passed through the beams, recording Magnolia, Chestnut-sided, Black-and-white, and Blackpoll warblers, as well as Common Yellowthroats, Ovenbirds, Northern Waterthrushes, and 43 American Redstarts. Five male Black-throated Blue Warblers were still in such bright plumage that they “stand out like a sore thumb in the lights,” he wrote in his eBird checklist for the night. 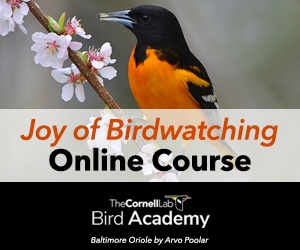 He also recorded Wood Thrushes, Swainson’s Thrushes, Veeries, Rose-breasted Grosbeaks, Gray Catbirds, and Baltimore Orioles. The lights illuminated a few larger birds as well, including a young Laughing Gull that was trying to catch insects, three Green Herons, an unidentified rail (likely a Sora)—as well as a Peregrine Falcon that made repeated hunting dives at the smaller birds. Farnsworth said he saw at least five successful attacks on warblers. The Tribute in Light happens during a time of peak migration in the Northeast. The birds often become briefly disoriented in the lights, and most years the lights are briefly shut off throughout the night to allow circling birds to reorient themselves. This year, on a night with only moderate migrant traffic, Farnsworth saw no evidence of casualties (aside from the peregrine’s catches). The Tribute serves as a double reminder: that city lights, when left on en masse, nationwide, for an entire migration season, take a major toll on migrating birds (see the Fatal Light Awareness Program for more); but also, of the great spectacle of bird migration that accompanies us through fall. An invisible river of animals, rivaling any scene from the Serengeti but consisting of half-ounce birds that pass quietly overhead, in the dark. Farnsworth is a lead scientist in our BirdCast project. Its ambitious goal is to produce accurate, real-time forecasts of local migration by combining data from radar, weather conditions, and acoustic recordings of the birds’ own brief call notes, which can be identified to species. While it will be a boon to anxious birders wondering what might turn up near them (you can check predictions at the BirdCast website), BirdCast also aims to provide advance knowledge of hazardous conditions at wind turbines so they can reduce their impact on birds. The project is still in its first year, although researchers have been applying technology to the study of migration for decades. Weather radar is good at detecting flying birds, even allowing Farnsworth to estimate the numbers of birds aloft on Tuesday night, for instance. Judging by the radar readings, he said, one cubic kilometer of New York City sky probably contained 100–200 birds at any one time on September 11. That’s not bad, according to Farnsworth, but the two previous nights had been even better, when some 600–1,000 birds filled the same volume of sky. They were audible even over city noises—cars in the Brooklyn Battery Tunnel, sirens, construction work—the birds’ short, sibilant call notes raining down at the rate of 3 to 5 per second at times. Which brings up a third reminder from the Tribute in Light: if dozens of species, and thousands of birds, routinely pass over a metropolis in pitch darkness, night after night, then doesn’t that make autumn one of the most exciting times to be a bird watcher? 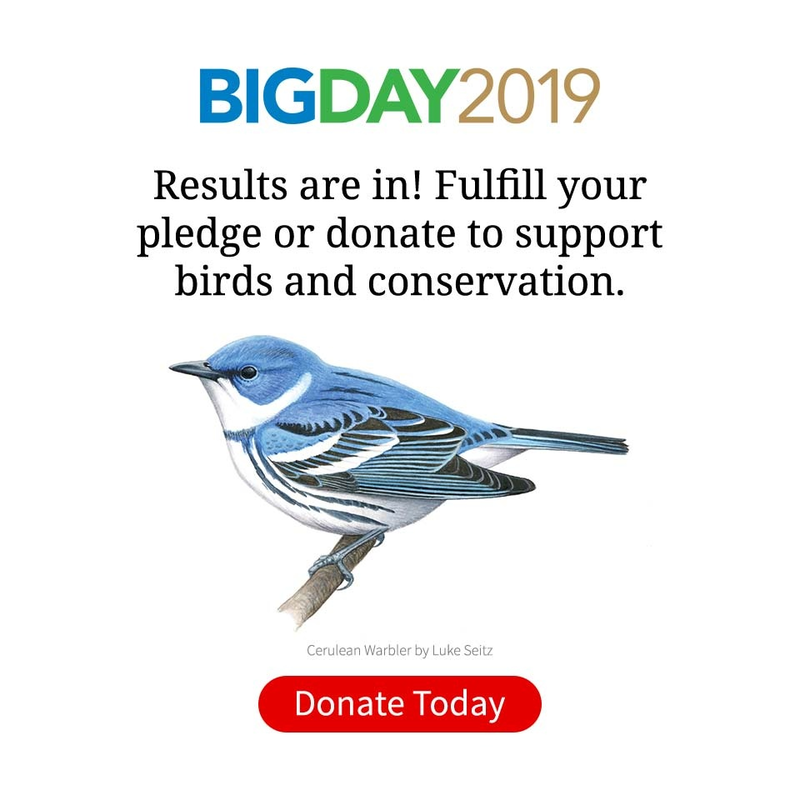 BirdCast is funded by the National Science Foundation and the Leon Levy Foundation, and involves partners at the Cornell Lab, Microsoft, the National Oceanic and Atmospheric Administration, and the University of Massachusetts at Amherst.